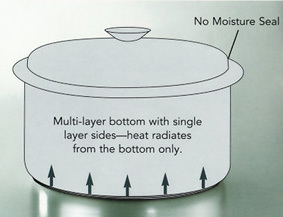 Belkraft cookware is engineered and constructed of the finest quality materials in the industry. We combine Type 316, 19-9 7 ply Surgical Stainless + Titanium construction, an engineered moisture seal, a tri-vent whistle, and some of the heaviest cover steel available to create a complete cooking system. This is not just another set of pots and pans. 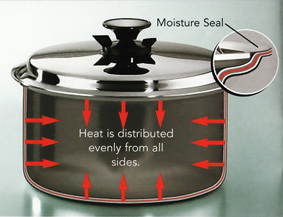 Belkraft cookware provides excellent heat conduction, a non-reactive surface that will not leach metals or chemicals into your food, and a minimum-moisture method of preparation. This state-of-the-art cooking system ensures highly nutritious foods that are flavorful and tender. In addition to maximizing time, saving money, and providing peace of mind, this high-quality cookware has a lifetime warranty. Belkraft is Truly Tops in Pots!